January 2015 update! Now use code katiexoxo1 to get your first month FREE! Click here! Good through the end of January. To me accessories make an outfit. They're the final piece to the fashion puzzle. A tiny addition that can completely pull a look together. One problem is that you practically need a second closet (and bank account) to handle all of it! Well today I have a solution for you. 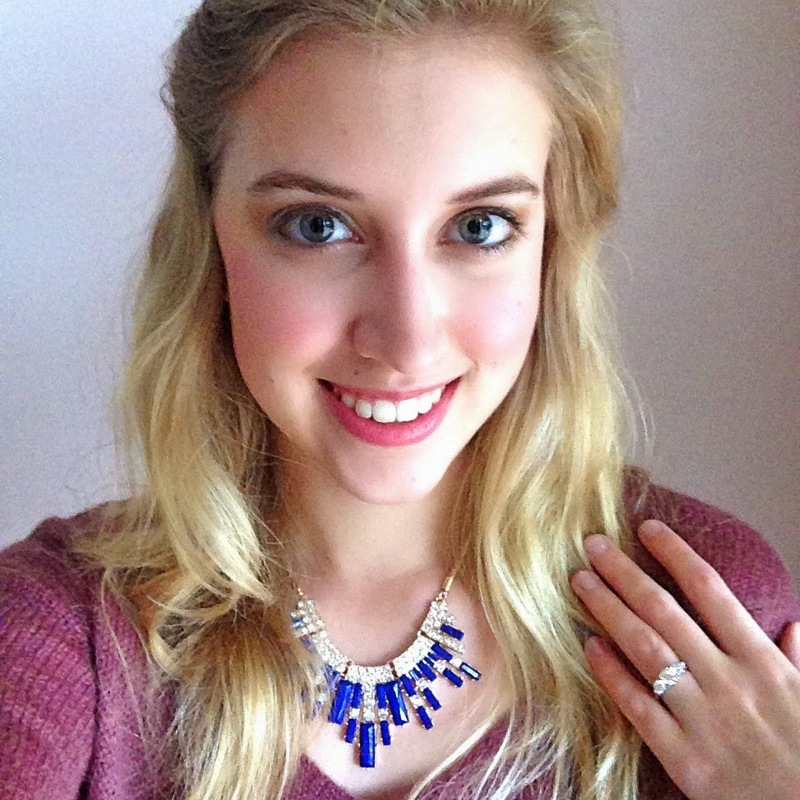 This post is my review of the jewelry rental service Rocksbox. Here's how it works. You sign up, take a style quiz, and create a wish list. Then they send you a box of three pieces that you can wear as much as you'd like and keep for as long as you'd like. At any time you can send them back (free shipping both ways!) and they'll send you three new pieces! And if you find something you love, you can purchase it for 20% off - bonus!! So at first, I will admit, I was a skeptic... I thought it was a cool idea but not really for me, I was perfectly happy with the jewelry I already own and didn't think I would be into the hassle of shipping them back often. The package it comes in contains the return shipping label and is re-usable so all you have to do is slide the box back in and drop it at the post office - no standing in lines or anything. Incredibly easy! A few days later I got my next box in the mail. 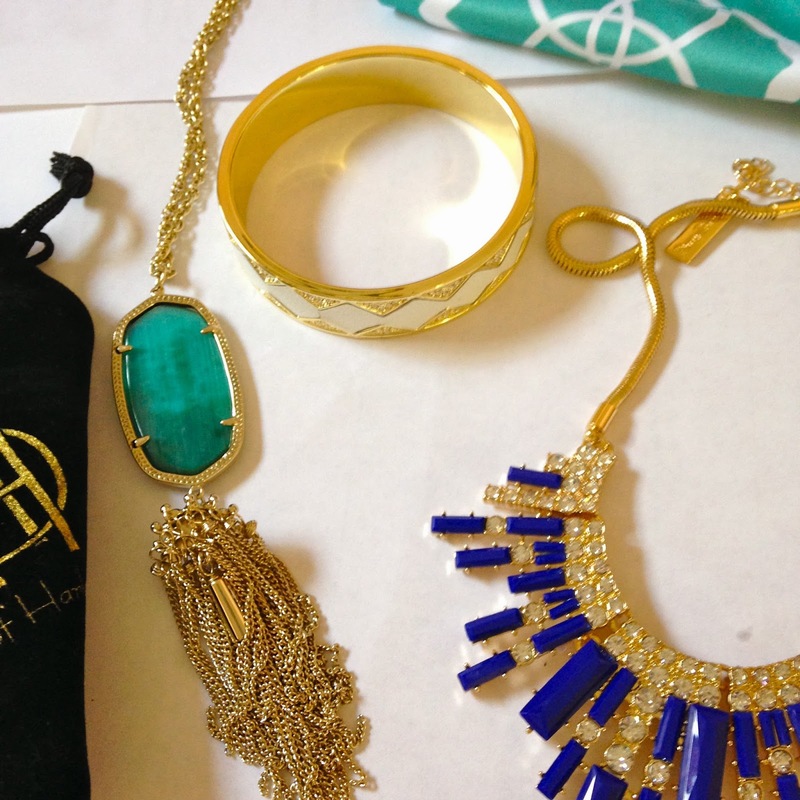 Again 2 out of 3 I loved and I mean LOVED - we are talking Kendra Scott here! The 3rd piece was a beautiful House of Harlow bracelet that unfortunately was too big for my tiny tiny wrists. So I really loved 3 out of 3 but could only wear 2 of them. I wore the blue Perry Street necklace on Christmas day and got many compliments from my family! So now for the fun part - signing up! Sign up through this link and you will automatically get $25 credit towards the purchase of one of your pieces (and so will I so it is a win-win... big time)! I would like to thank Rocksbox for my subscription. Please keep in mind though that this review is 110% honest and written by me! Thanks for sharing this post I really like this information very much. I am waiting for new post here please keep it up.